These Nylex foam mattress inserts can extend the size or fill in a remaining gap on your box spring or medical bed frame. 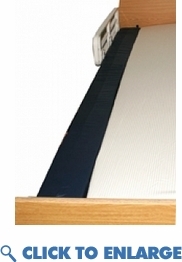 This medical mattress insert extends the width of your air or foam medical mattress. Made of high density foam and covered in an easy to clean Nylex cover.